Medieval music has been made and remade repeatedly over the past two hundred years. For the nineteenth century it was vocal, without instrumental accompaniment, but with barbarous harmony that no one could have wished to hear. For most of the twentieth century it was instrumentally accompanied, increasingly colorful, and widely enjoyed. At the height of its popularity it sustained an industry of players and instrument-makers, all engaged in re-creating an apparently medieval performance practice. During the 1980s medieval music became vocal once more, exchanging color and contrast for cleanliness and beauty. Radical changes in perspective such as these may have less to do with the evidence of how medieval music sounded and more to do with the personalities of scholars and performers, their ideologies, and musical tastes. This according to The modern invention of medieval music: Scholarship, ideology, performance by Daniel J. Leech-Wilkinson (Cambridge: Cambridge University Press, 2002). 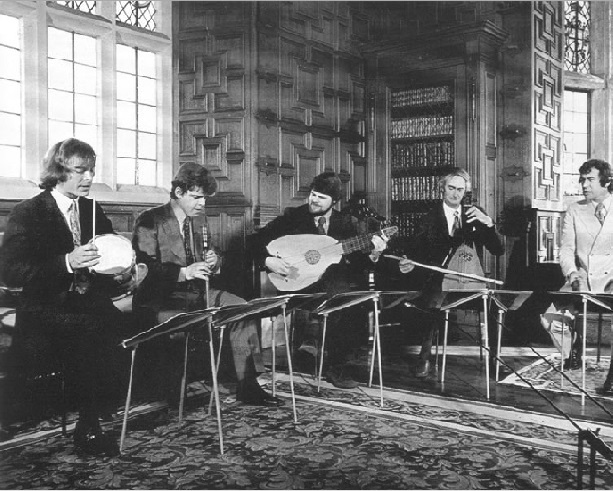 Above, the Early Music Consort of London in the 1960s. Below, a recording by the group from 1976. Slovak Early Music Database – Cantus Planus in Slovacia was established in 2012 at the Ústav hudobnej vedy Slovenskej akadémie vied in collaboration with Hudobný fond/Music Fund Slovakia as a full-text English-language database of the notated manuscripts and fragmentary notated sources from the area of Slovakia dating from the late 11th to the early 16th century. Directed by Eva Veselovská, the database allows free and universal access to a large number of music manuscripts kept at libraries and archives in Slovakia. It provides a number of search possibilities, including the archive (with RISM sigla), source, text incipit of a chant, feast, and genre searches. 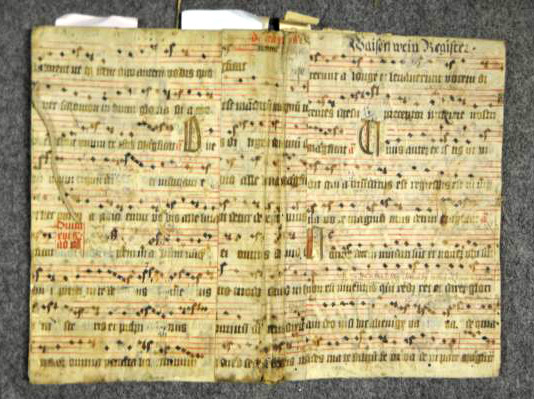 Manuscript fragments and selected codices with monophonic or polyphonic music are fully indexed. To view digital images in high resolution, a free Slovak Early Music Database – Cantus Planus in Slovacia account must be established. Below, an example from a Slovakian manuscript. “Our vision for Musica antiqua is very clear: with both of the founders being active professional early musicians, we feel we have a direct line to those performers and musicologists who are currently at the forefront of early music. 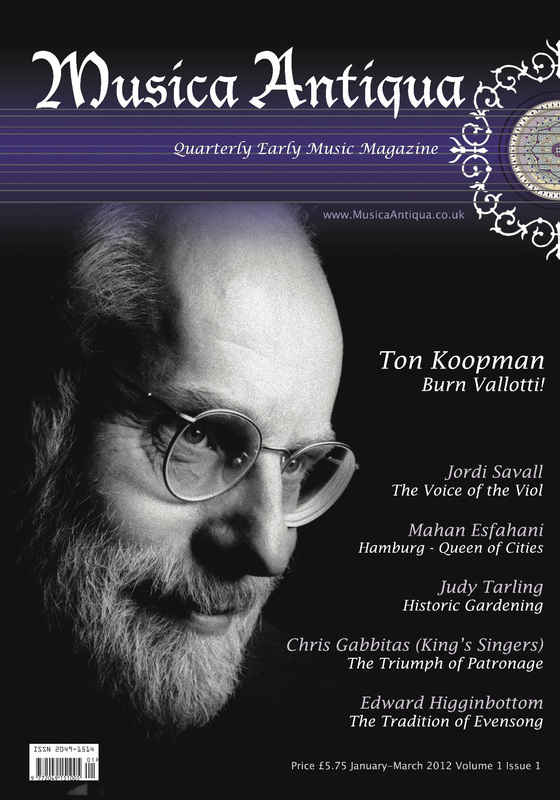 Our aim is to provide articles written by the performers and musiciologists themselves.